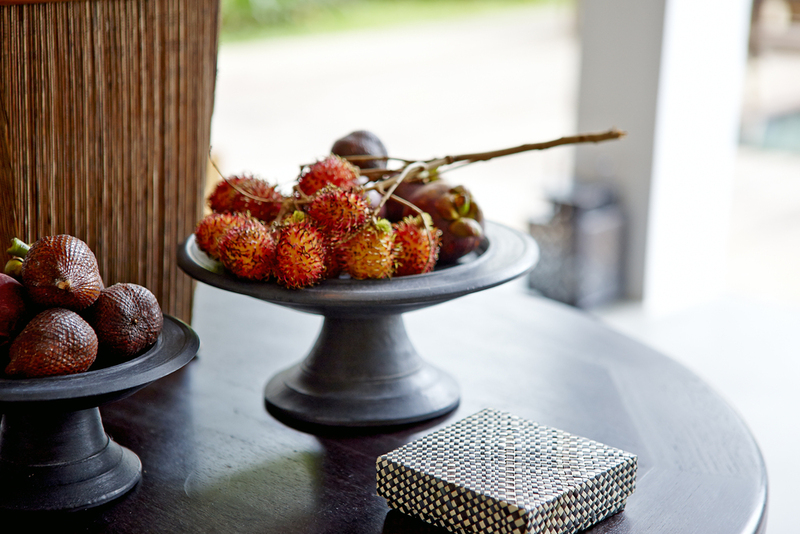 Villa ZIBA was built and decorated in a contemporary style with a mix of Balinese and Scandinavian influence. Stunning materials like volcanic lava stone, massive teak wood, natural stone and hand woven ikat textile are used to create a beautifully modern environment. The word Ziba means beautiful in Persian, one of the most elegant, flowing languages we have. This 5 bedroom private Villa features a large over flow pool with a sun deck. The main building has a grand open air living and dining area, 2 master bedrooms upstairs and 1 apartment with a kitchenette. There is space for up to 12 guests, with the 2 villa pavilions with 2 bedrooms overlooking the pool, garden and the lotus pond. 2 extra bed for minors available as well as baby cot for infants. Villa ZIBA is designed to be a vacation villa in an urban setting, while maintaining the peace and calmness. Located in the South of Bali, in the heart of Seminyak, one of the most spectacular sites of the island – famous for its heritage and high quality of shops, restaurants, handmade arts and crafts. Just a 10 minutes’ walk to the Seminyak beach and less than 5 minutes to shops and great dining.